The committee headed by Minister Tilak Marapana made a recommendation today (31), that former Minister of Finance Ravi Karunanayake should not exercise his duties as the Deputy leader of the UNP until further notice. UNP General Secretary Minister Kabir Hashim stated that the UNO committee headed by Minister Marapana made a recommendation to Ravi Karunanayake to abstain from acting as the Deputy head until the Attorney General or the Bribery Commission finalizes legal action that should be taken against him in relation to the Bond scandal. 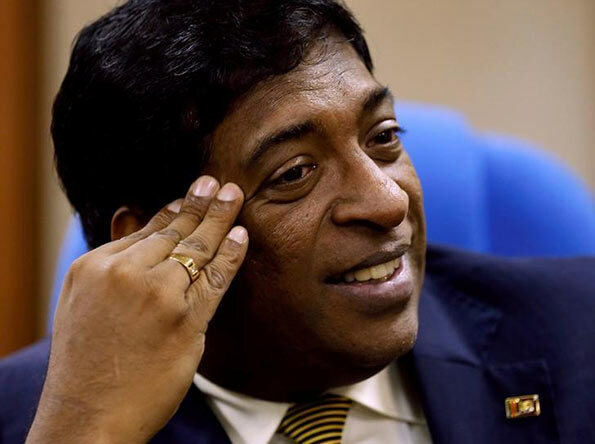 In the Report of the Commission of Inquiry on the issuance of Treasury Bonds, there are no findings against any member of the United National Party including Mr Ravi Karunanayake in regard to the issuance of Treasury Bonds. But, however, the Commission of Inquiry has decided that the Attorney General and the Bribery Commission should determine whether action should be taken against Mr Ravi Karunanayake, MP, under the Bribery Act or other appropriate legislation in respect of their findings that he had derived a substantial benefit from the lease payments made by Walt and Row Associates (Pvt) Ltd., which is an associate company of Perpetual Treasuries Ltd., which is owned and controlled by the same persons who owned and controlled Perpetual Treasuries Ltd. The Commission has also stated that the Hon. Attorney General or other appropriate authorities could also consider whether the evidence given by Mr Ravi Karunanayake is shown to have been incorrect and in that case whether there are grounds for prosecution under Section 179 and or under Section 188 of the Penal Code or other relevant provisions of the law, read with Section 9 the Commission of Inquiry Act No. 17 of 1948. In view of this, the Committee appointed by Hon. Leader of the United National Party has recommended that until a finality is reached by the Attorney General and/or the Bribery Commission that no legal action is to be filed against Mr Ravi Karunanayake or if such action is instituted, until the conclusion of such action, steps should be taken to ensure that Mr Ravi Karunanayake should not exercise any duties as an Assistant Leader of the United National Party. The Report will be presented to the Working Committee to be held in mid February. When the horses ran away they close the doors of the stable! Of course Ravi brought disrepute to UNP. We can see this type of window dressing run up to PC elections. Ravi treated everybody as fools, by saying he did not know about rental agreement of the condiminium he was staying at. They come to power by lying to their people, and once in power treats those who voted the individual in as idiots. If Rvi is true to his word he should resign from his post immediately, until all the inquireis are over. Be a man and be honest and open. We do not need people like this to run this beautiful country of ours.